The Charlise Executive Fleet includes the latest Mercedes S Class, E Class Estate, V Class (6 and 8 Seaters) and Mercedes 16 Seaters. 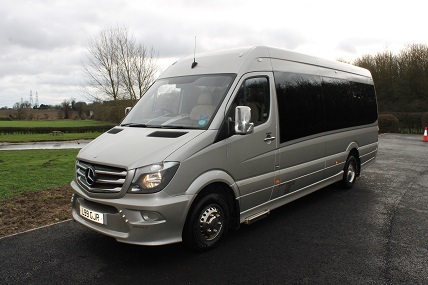 Renowned as best in class for business travel, airport transfers and wedding day travel, our fleet is held in high regard by all of our customers. Charlise Executive Travel currently holds a International licence. "The sevice from Charlise was exceptional - Glyn & Malcolm looked after us so well arriving at our house promptly and great communication for collection at the airport on return. Water/Squash and even a newspaper was provided too. Thank you for making our holiday so much easier without all the stress of getting to and from the airport." "Very impressed with the overall service from the initial booking to the journey, lovely driver friendly, helpful and on time with a smart spacious vehicle would highly recommend and use again for future travel!" "Driver was excellent. Courteous, on time and very good driver. Vehicle was extremely comfortable and in showroom condition. Already hiring for next trip." "First class service from pick up to drop off both ways. I would recommend using them to anybody seeking a stress free journey." "Having used these guys twice now I highly recommend them. They were able to make what could have been a very stressful time to Kings College Hospital a lot more relaxed for myself and my daughter. The service I received throughout from booking to driving was always very professional." "Glyn was early for our pick up (even stopped off for "Supplies" ) Fantastic service. Clean minibus for our golf trip. Would recommend Glyn to anyone needing a transfer to and from the airport (or any transfer saying that) top bloke. First class service! Highly recommend!" "Very professional service. Kept us well informed about our pick up details from Gatwick. The luxury vehicle was immaculate and we had a very comfortable journey home. Our driver Glyn was very competant, pleasant and helpful. I Will definitely use this company again and would recommend to anyone." "Excellent journey with very smart and friendly driver. Good communication both with booking and pick up at airport. Our group felt like royalty in the comfortable seats and spotless vehicle which rounded off our holiday in style." "The journey was really safe and reliable in a comfortable vehicle. Really good journey and helpful chatty driver who showed us how to recline our seats and sleep if we wanted to! Highly recommend "
"The vehicle and driver provided a top rate service. Pick up at airport was very efficient .will use them everytime"